Blog Quick Quotes: Friday Challenge 69 and Winners! Friday Challenge 69 and Winners! Happy Friday, can you believe it's November already? You know what that means right, a brand new and exciting Challenge for you. First up, we have a few prizes that we need to announce! 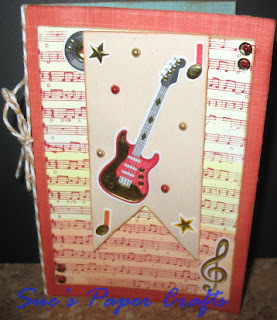 Now for the gift certificate winner and our top projects to announce from Friday Challenge 68 - "Inspired by Music!" There were some absolutely beautiful entries. 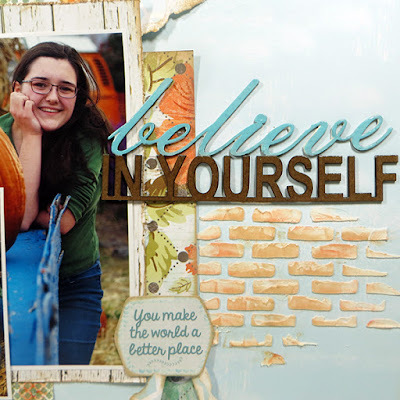 Thank you for playing along and sharing your inspiration with us! We love to see what you create! Hello and welcome! 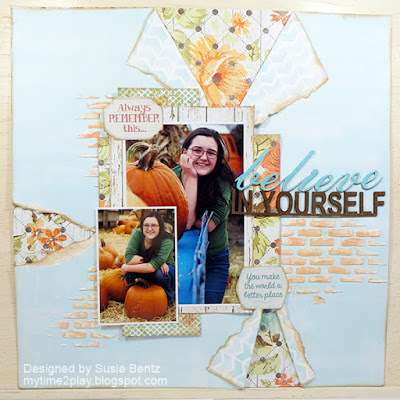 Susie here to host the November Challenge on the Quick Quotes blog. 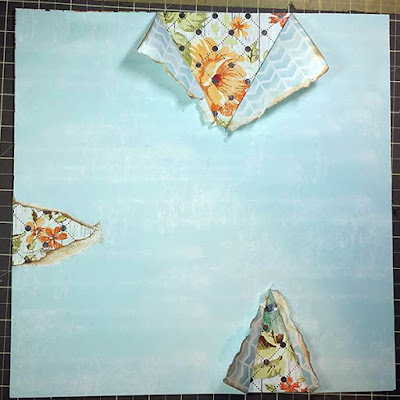 This month I am encouraging you to Tear It Up! 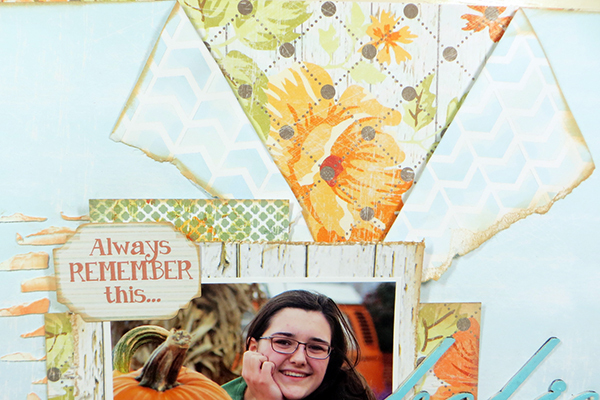 When I first started scrapbooking I had to have everything measured and cut and nice and clean. I have changed! One of my favorite ways to add texture is really easy - just tear and layer your paper! Here is a layout I created with the Farmhouse Collection. I started by laying the light blue paper on top of the floral print. Next I tore the top paper in 3 different places, inking the edges with Warm Sand PowderPuff Chalking Ink. This month we will be doing a cross promotion with Want2Scrap. 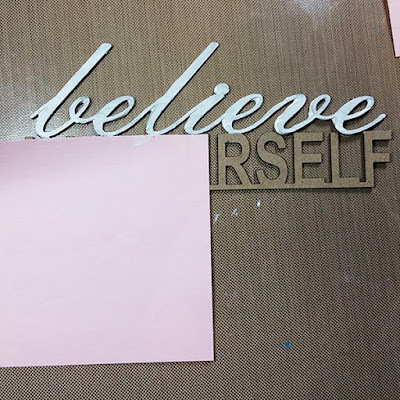 I took the opportunity to add a little mixed media to my project by applying modeling paste through their small brick stencil. 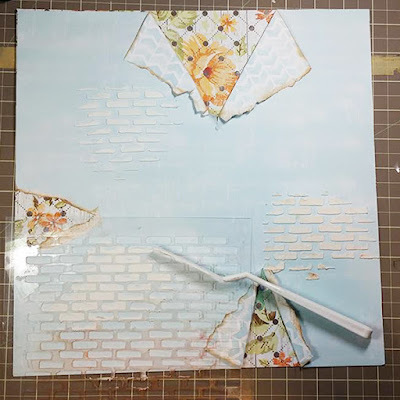 After the paste dried, I added color to the bricks with Sunset and Warm Sand PowderPuff Chalking Inks. 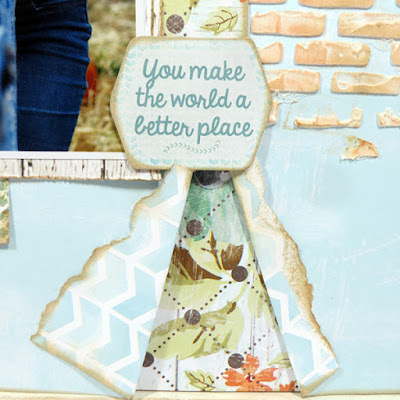 Want2Scrap also manufactures chipboard quotes. I chose to use one as a title and I wanted to make it 2 different colors. I masked off the lower half of the quote and painted the top word with gesso. Next, I used Caribbean Blue PowderPuff Chalking Ink to color the word "believe". 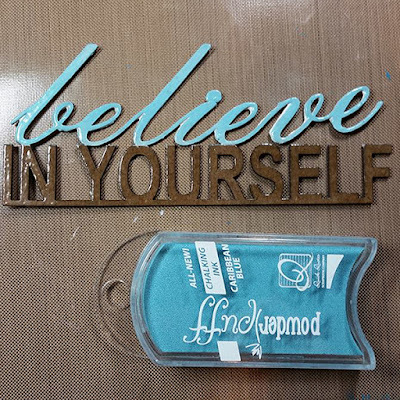 After it dried, I covered the entire chipboard quote with clear ink and clear embossing powder. 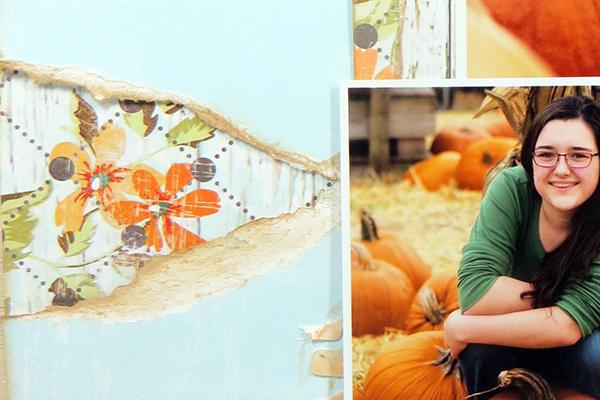 I folded back the edges of the tear on the top of the page and added a die cut sticker from the Farmhouse collection. The tear on the side of the page is more of a peek-a-boo. 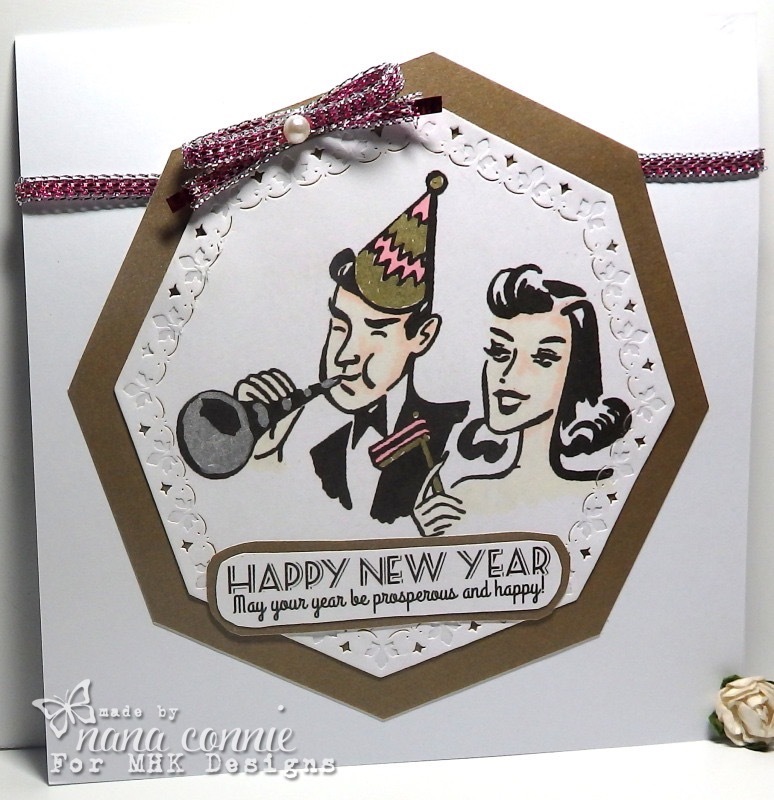 I also added a die cut sticker to the tear on the bottom of the page. 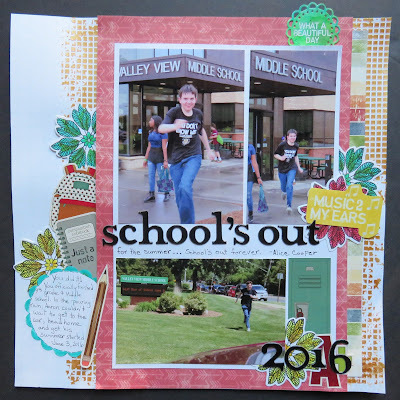 I hope you will join us in the "Tear It Up" Challenge this month. 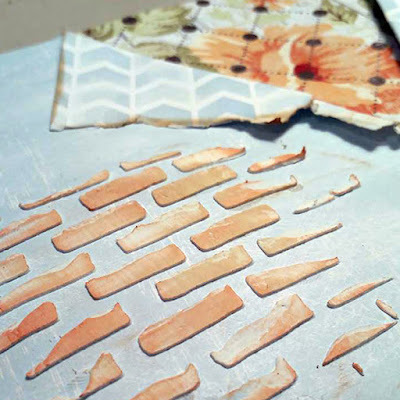 You can submit any project you like, as long as you include torn paper! Thanks for stopping by and I hope you find some time to play today! This month's challenge theme is "Tear It Up". Create a layout, card, tag or off the page project using torn paper as part of your design - be creative! Challenge begins today and is open until 11:55 pm PST on 11/25. Fabulous layout. Great step-by-step. Thanks for picking my layout for last month's challenge! thanks so much! love the powderpuff inks!